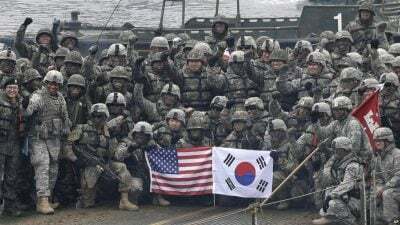 There seem to have been significant diplomatic breakthroughs during this period between the two Koreas, with the north-south talks seeming to place South Korea at odds with both the U.S and Japan. What are the prospects for peace on the Korean Peninsula in the face of these events? He spoke at a meeting hosted at the Korean parliament (National Assembly) and also participated in events alongside other anti-war, labour, political voices including meetings with the youth movement and the candlelight movement.